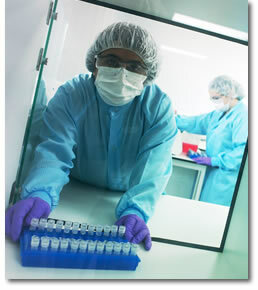 Cellmark has been working with healthcare professionals since we first launched in June 1987. Cellmark pioneered the introduction of DNA analysis for paternity testing and many thousands of our customers' samples are taken by Doctors and Nurses each year. Cellmark is accredited by the Ministry of Justice as a body that may carry out parentage tests (otherwise called DNA Testing or Paternity Testing) as directed by the civil courts in England and Wales under section 20 of the Family Law Reform Act 1969 and our test results have been acccepted by the civil courts in Ireland in cases where the Status of Children Act 1987 applies. Cellmark participated in the development of the original UK Dept. of Health voluntary Code of Practice on Genetic Testing, launched in 2001, and abides by its replacement the Human Genetics Commission's "Common Framework of Principles".